The Hoofer 14 stand bag has a 14-way reinforced top with 6 full-length dividers so the clubs don't get bunched at the bottom of the bag. 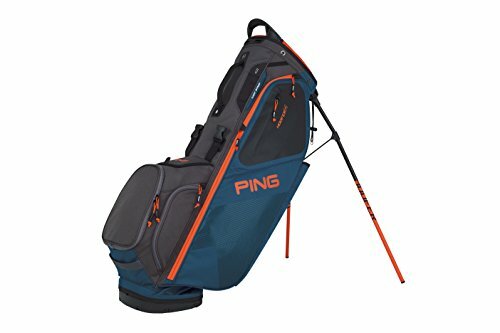 Other features include a full-length apparel pocket, a cart-strap pass-thru, and 12 total pockets to provide the organization of a cart bag with the easy-handling of a carry bag. The bag is lightweight and comfortable to carry. Standard Ping warranty applies. Please note that the bag CAN be personalized for a small additional charge. Matching rainhood included. If you have any questions about this product by Ping, contact us by completing and submitting the form below. If you are looking for a specif part number, please include it with your message.